Is Your Physio Who You Think They Are? You take you pet to a qualified vet, your gas boiler is serviced by a qualified CORGI engineer and your new car is serviced by official mechanics. When it's you body then that needs an MOT, or fixing, would you really trust any therapist that is not Chartered? All Physiotherapists at Team Rehab uk are registered with the Chartered Society of Physiotherapy so you can be sure you are in the best hands. But what is a physiotherapist and how can you tell if they are chartered or not? "Physiotherapy helps restore movement and function when someone is affected by injury, illness or disability. The profession helps to encourage development and facilitate recovery, enabling people to stay in work while helping them to remain independent for as long as possible"
It was inevitable that during my professional lifetime, alternative courses to the historical trio of physiotherapy, osteopathy and chiropractic would at some point become common place and that is no bad thing. 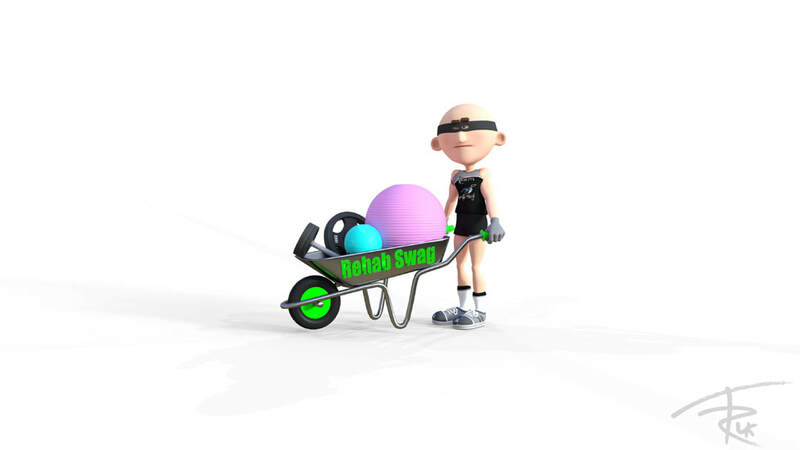 As a research physiotherapist of 18 years clinical experience, I am perhaps more now than even before receptive to the skills and knowledge of fellow professionals, both clinical and non, when advancing the type, and quality, of care that we at Team Rehab uk provide you. In fact we are so in favour of cross disciplinary skill and knowledge sharing that the name of the business, Team Rehab uk, was born solely from this concept and remains the vision of growth for the clinic going forwards. The unfortunate side of of this diversity however is the use, by a minority, of misleading terminology on promotional goods and websites inferring that physiotherapy, physio, physical therapy, can be sought from a clinical site where the 'therapists' are not actually physiotherapists. ​Part of this confusion can be put down to the common misconception that any therapist that undertakes some form of bodily rehabilitation is automatically a physio, if they are not an osteopath or chiropractor. This is in fact completely false and in 2005, a law was passed that made the title of physio, physiotherapy and physical therapy, protected, and thus illegal to use by anyone other than a Chartered Physiotherapist. Any professional person, be it an accountant or lawyer, teacher or biochemist, works very hard to gain their professional recognition and must adhere to tough regulatory standards throughout their career to maintain this. One can therefore perhaps appreciate the frustration that we feel when we see people taking advantage of this situation for personal gain. I must reiterate that this is not a dig at any other professions, such as osteopaths, chiropractors, sports therapists, massage therapists etc, but is more a move to make people aware that there is a minority of 'therapists' out there, that are claiming they are something which they are not, and this is what we aim to stop. These people with gladly take your money and also misrepresent us, neither of which is a good thing. For those of you who are planning to use private medical insurance to cover your care, only registered therapists will recognised for reimbursement, so be sure to check first! The easiest way to ensure that your physio is a really a physiotherapist, and your osteopath is really and osteopath, and your chiropractor is really a chiropractor etc etc, is to check with their governing bodies. We are all on the professional registers for you, the public to search, and the links below will provide you easy access to the databases to do so.